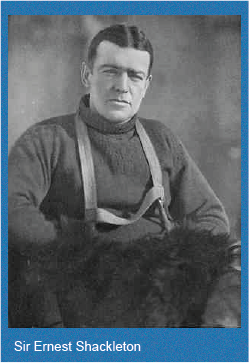 Sir Ernest Shackleton was an outstanding leader in the golden age of Antarctic exploration at the dawn of the twentieth century. His astonishing feats of leadership, navigation, endurance and survival have recently inspired a revival of interest in Britain, the United States and elsewhere in the world. His son Edward, Lord Shackleton, began as an explorer who won acclaim as a scientist, businessman, wartime Royal Air Force officer, statesman and author of two reports for the British Government which laid the foundation for the Falkland Islands' development and prosperity. 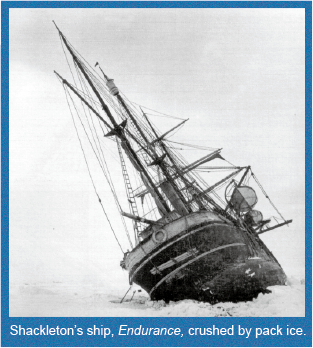 The Shackleton name has played a vital role in the history and growth of the Falkland Islands, therefore the Shackleton Scholarship Fund was set up in 1995 to commemorate these two remarkable men and to stimulate human endeavour, initiative and research. Academic. For graduates to visit the South Atlantic for research into the natural or social sciences, in such diverse subjects as place names, the English language spoken in the Falkland Islands, Falklands society, fresh water fish, willows, grasses, geology, tree-growing, and many other topics. Several scholars have produced research papers and compiled information for books. Quality of Life. For people whose visits to the Falkland Islands, or from the Falkland Islands to other parts of the world, benefit the region and enhance the quality of life for the Islanders. These have included top class sports coaches in swimming, golf, fly fishing, shooting and horsemanship; musicians and artists. Several scholarships have been awarded to Falkland Islanders. The Fund benefits both the scholars and the Falkland Islands by creating wider knowledge and promoting new skills and activities.